The lightly distressed finish and farmhouse design of this two-tone chair side table is sure to add a rustic and welcoming look to your living room. The Wystfield Farmhouse Chair Side End Table with Two-Tone Finish by Signature Design by Ashley at Corner Furniture in the Bronx, Yonkers, Mount Vernon, White Plains, Manhattan, NYC, New York area. Product availability may vary. Contact us for the most current availability on this product. This collection of occasional tables feature a mix of classic farmhouse style and modern day practicality. 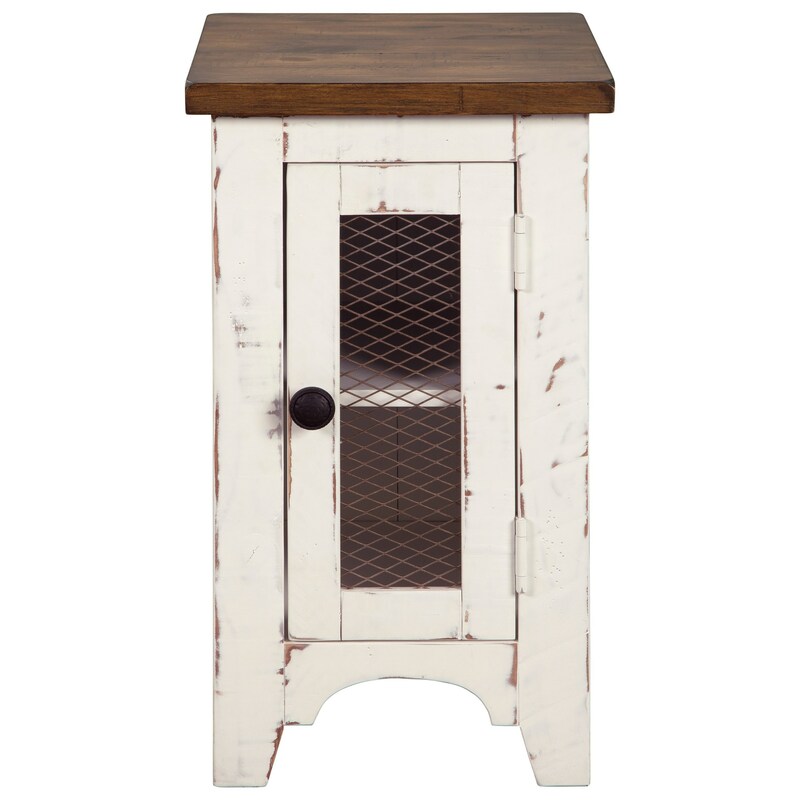 With a distressed finish and metal accents, these pieces are a perfect way to add rustic charm to your home. The Wystfield collection is a great option if you are looking for Rustic Relaxed Vintage furniture in the Bronx, Yonkers, Mount Vernon, White Plains, Manhattan, NYC, New York area. Browse other items in the Wystfield collection from Corner Furniture in the Bronx, Yonkers, Mount Vernon, White Plains, Manhattan, NYC, New York area.